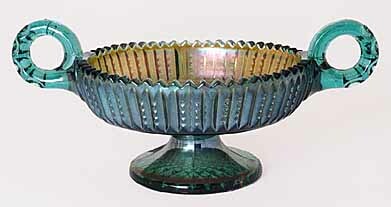 A squat compote, sometimes referred to as a bonbon or candy dish. About 5 inches across. There are vertical file-type prisms circling the exterior of the piece and two circular handles.